We are so excited that you are planning a Silent Disco Party with us! 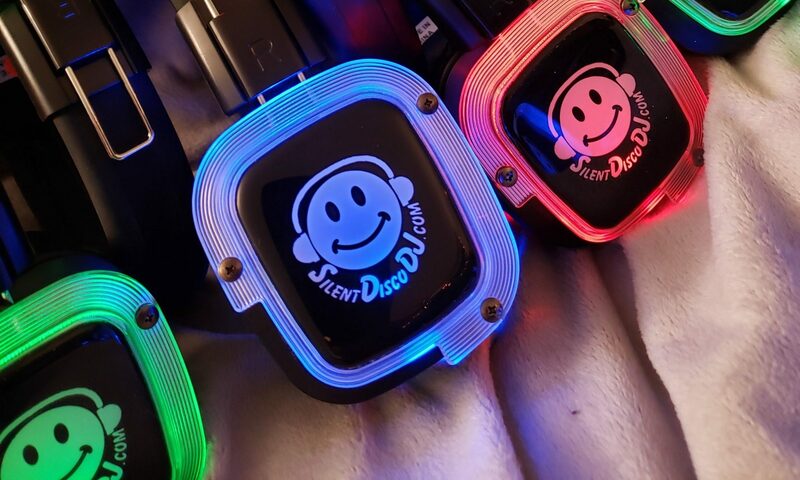 This is the fastest growing dance party trend in town and here at www.silent-disco-rental.com we want to make it as easy as possible for you to host awesome parties that will make you the envy of all your friends and the most popular party host for miles around. One of the first questions people ask is how do we keep the headphones from disappearing? Obviously, if you are holding a larger party where you don’t know all of the guests personally, the question of how to keep the headphones from walking away becomes a real concern. In most cases, you have paid a significant sized security deposit when you rented the equipment from us. That means that you are on the hook for the pieces that don’t come back home. We have compiled a list of strategies for your convenience. Some will work only under certain circumstances. You will not use the same ones all the time. How to make sure your Silent Disco guests return the headphones. It is important that you use multiple strategies for maximum effectiveness. Clear lines of responsibility yield better results. If there are multiple exits, enlist a few other dedicated (non-partying) staffers to watch those doors. Make sure all doors are covered and nobody enters without picking up a set of headphones and nobody leaves without dropping off a set. Again, this relies on having staff to enforce it. The reason to do it is that it prevents guests from concealing anything on the way in or out. For an outdoor party or if you don’t have enough staff to cover the doors, hold something of value to return to the guests when they return the headphones. This is our favorite. Keep the licenses in alphabetical order. It is pretty easy to do that and they can be found quickly for return. This works well for college events because a small percentage do not have a driver’s license. We do recommend looking at it closely because many college students have fake ID’s for buying alcohol and they may give up the fake in exchange for keeping the headphones. Credit cards are not our first choice since some guests will be nervous about it, but credit cards work if they don’t have something else. These can be difficult to keep track of since many of them look the same. Be ready with a plan to label them if you are considering this route. We recommend $40. This is quick and easy, but if you don’t have an ATM nearby for people who don’t carry cash, you’ll need to offer alternate options too. This depends on your credit card vendor. Some of them will penalize you for too many refunds. Of course you’ll need a card reader for your phone and an account with a company like Square, Paypal, or other. This way you avoid the problem of too many refunds, but you do have to pay Paypal’s transaction fees for the extra transaction. This can only be one option of several because many people don’t carry checkbooks anymore. Also checks can bounce or the guest can stop payment. Let guests know that you are on the hook to pay for any headphones that are not returned. In today’s disposable culture, they may not even realize you have to return them. An announcement will help. Let guests know that the headphones won’t work anywhere else. Without the announcement, people will automatically assume that they are either Bluetooth or WiFi and that they will work at home. They also may not realize that they can’t recharge or replace the batteries without the dedicated chargers. They may not realize that they need the exact FM frequency to even send a signal to the headphones. The above information will make your guests less likely to steal them on purpose. The headphones may be tagged with GPS chips or have Barcodes that can make this process more streamlined and accurate in the future. For now, this is a developing market with a few wrinkles that still need to be ironed out. But if you put a handful of the above strategies into place, you can experience this hot new trend with minimal equipment loss and maximum party enjoyment.